Everyone these days is offering fun reusable shopping bags for sale. So what makes one reusable bag different from the next? In the end, it all comes down to personal choice. For example, the most important features to me are a larger than normal size that also compacts small (or at least perfectly flat). Bonus points if it can stand open on its own, thanks to a flat bottom — similar to a paper sack. My favorite is still the Walmart reusable shopping bag. Paper or plastic?… Is there a correct answer to that question? So now we know why it’s a good idea to use reusable shopping bags instead of plastic shopping bags — but how does it put money back in your pocket? 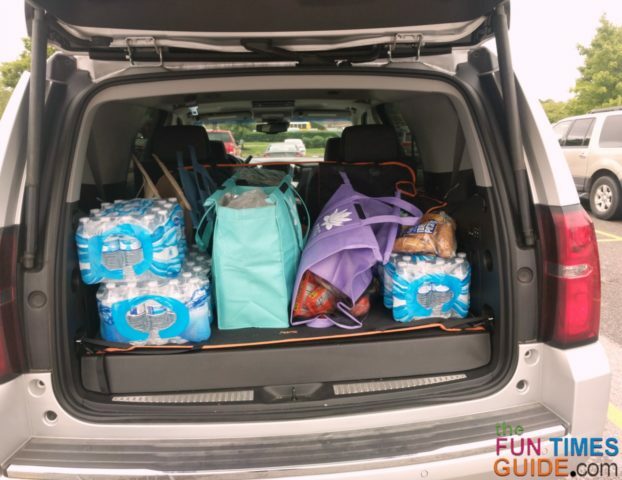 #1 – Target: Offers a 5-cent discount for each reusable bag you bring in. So far, more than 190 million reusable bags were used instead of paper or plastic shopping bags. Target encourages guests to make reusable bags a regular part of their shopping routine by offering a broad and ever-changing assortment of bags. #2 – Whole Foods: Whole Foods offers a $.10 discount with every reusable grocery bag you bring with you to bag your groceries. Check your local store for more information. #3 – Trader Joe’s: Some Trader Joe’s stores offer a $.05 discount per reusable grocery bag you bring in to use. Other Trader Joe’s stores offer one entry into a weekly raffle for a $25 Trader Joe’s gift card each time you shop with reusable bags. Offers vary by store so check your local store to find out what their program is. There are other stores that offer discounts for using reusable shopping bags, but they’re not located near me — so I can’t personally comment on them. ChicoBag: They produce reusable bags, packs and totes that are great for shopping, travel, organization, outdoor activities and more. Flip & Tumble: I love the fun colors and the way this one scrunches up into a tiny little ball. They call the $12 reusable shopping bag “the 24/7 bag” because it’s small enough to keep on your person 24/7. Reusable Shopping Bags: These are perhaps the largest collection of reusable shopping bags online. Baggu: Choose your own fun colors, lightweight yet holds 25 lbs – the contents of 3 plastic grocery bags, folds into a flat 5″ x 5″ pouch, $10. IKEA Big Blue Bag: Extra large for big shopping trips, made of plastic but it’s a great one to reuse, .99 cents. EcoBags: Lots of shapes, sizes, styles, and materials available –$6 to $20. Amazon Reusable Bags : an ever-changing inventory of reusable shopping bags and sets of bags in fun shapes, sizes and colors. 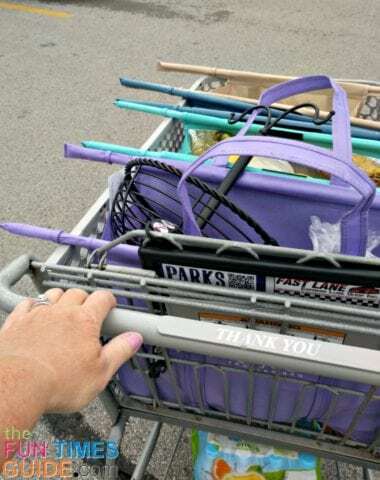 See my all-time favorite reusable shopping cart bags! Chances are you’ll probably be looking for sources of FREE reusable grocery bags. I know that I’m constantly on the lookout for the — because you can never have too many reusable bags! Keep your eye out for announcements from your favorite stores and online retailers. Oftentimes if you take the time to answer a survey or take a quiz, they’ll send you a free reusable shopping bag. Some companies will send you one, just for asking. 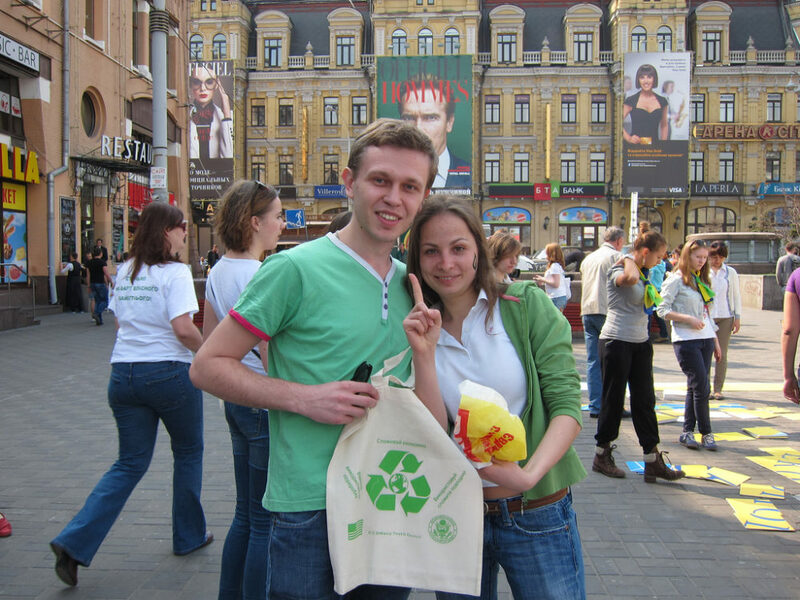 Environmental groups are participating at the local level, showing up at events and handing out free reusable shopping bags. Thrift stores and garage sales often are good places to grab reusable bags too. And be sure to watch for other fun specials and local freebies on Earth Day!